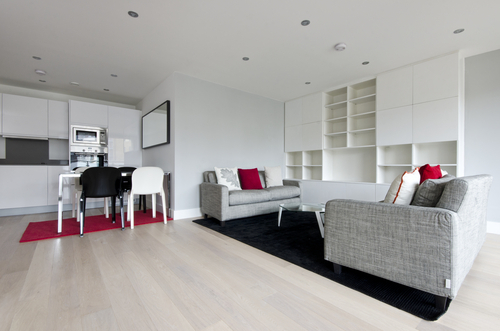 In the modern home floorings, laminate flooring is quickly becoming an essential feature. Besides its stylish appearance, it's practical implications are numerous, providing happy homeowners all over the world with a convenient and beneficial flooring solution. 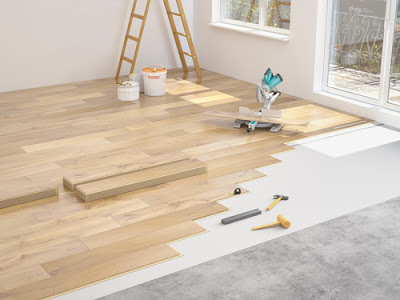 There are several different types of laminate flooring available for you to choose for your home, and to help make your decision, professional flooring companies are here to provide you with helpful advice and information to make your choice easier. How thick would you like your laminate to be? The thickness of the flooring varies between different varieties, so it's useful to decide whether you want a thicker 11mm laminate, or a slimmer 6mm. Spanning a different types of natural wood colours, laminate can be purchased in a wide array of colors. Whether you're looking for a light oak effect, or a darker wooden look, you'll be able to find a shade which perfectly matches the decor and look of your home. Some laminate is available with a slip resistant finish. This is highly useful in homes with children, as it means there is less chance of them falling over. This may also be useful if you have pets, as it may reduce the chance of any possible accidents. 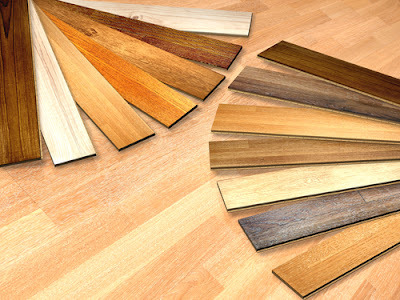 Laminate flooring also comes with different edges. Some may be bevelled, whilst others may be square, so also look out for this when making your decision. The finish of the floor will affect how it feels and the smoothness when you walk across it. Consider whether you would like a textured of surface finish, as each will provide different results. Laminate flooring is made using three different layers - a print layer, fiber core and a clear top coated with melamine resins. It resembles natural wood flooring or floor tile and most people usually confuse it for either of the two. There are two types of laminate flooring: high pressure laminate and direct pressure laminate. DPL is made when all the materials are combined in one process. HPL on the other hand involves combining a few planks, then fusing them with the remaining materials. This combination is then inserted in a plank, giving it a more durable finish. The greatest thing about having a laminate floor is that you can have it installed to float on the floor without really being attached to it. This is done by locking individual planks together so they form a continuous covering on the floor. Laminate flooring is very easy to clean and wears well. It is also inexpensive to install and maintain. Laminate floors have many unique properties that set them apart from other flooring types. They come in nearly any color, style, and appearance and are great for use in many different rooms. Laminate planks are made of several layers bonded together. They consist of wood, resin, as well as fiber layers put together under very high pressure and finished with a printed image treated with a wear layer. It is amazing that you can have a laminate floor in a room with any style imaginable. You can have the look of ceramic tiles and grouting from a laminate floor that would fit into either a bathroom or a kitchen. You can have an authentic hardwood finish in both light and dark woods. You can even cover a room in laminate that looks just like any type of stone imaginable, from marble to granite and everything in between. 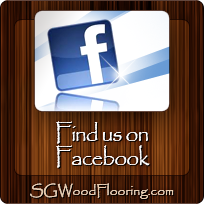 With one flooring type, you can cover an entire house and not have the same style or texture in any two rooms. That is the amazing design versatility of laminate flooring. Laminate floors see use in nearly every building, from low traffic rooms in homes all the way to high traffic office buildings and hotels. Laminate floors are graded from AC1 for delicate types that are fit for use in bedrooms, to AC3 for high traffic rooms in the home like the kitchen, all the way up to AC5 for a hotel lobby. Installing laminate floors is very simple. The majority of manufactures make models that come with a tongue and groove system where installation consists of snapping the planks together. Since there is no need to anchor the planks to the sub floor, they are considered a floating floor. This allows installation over nearly any type of level surface, from vinyl to concrete or tile, including right over carpet. There is no need for messy glue applications and no special tools short of a saw to cut planks to size. It is easy to see why laminate floors are so versatile. The sheer number of design options allows a creative mind to really utilize the material for all of its worth. Since nearly every style of flooring can be mimicked by laminate, interior designers can really set the tone of a living space without the cost or hassle of exotic flooring materials. 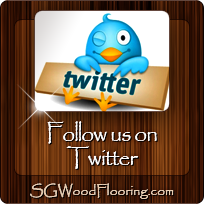 Whether a home needs to be renovated, or a new house is being constructed, laminate floors see wide spread usage. With a laminate flooring sale on at leading flooring companies, now is the perfect time to take advantage of beautiful laminate flooring at an excellent price! Whether you decide to choose stunning White Riffle Oak, or sophisticated Italian Walnut, all laminate flooring will provide a stylish and functional aspect to your home. For more information on any of the fantastic flooring which is available provide, get in touch with a team of specialists today for further advice. Having new laminate flooring installed is expensive, but if you are smart about your purchase, you can save some money in the process. The tips above are main ways that you can save on your laminate flooring. Remember that choosing laminate flooring in the beginning is much less expensive than choosing some of the other types of hard flooring.